Founded: 9th century. Current style: baroque. 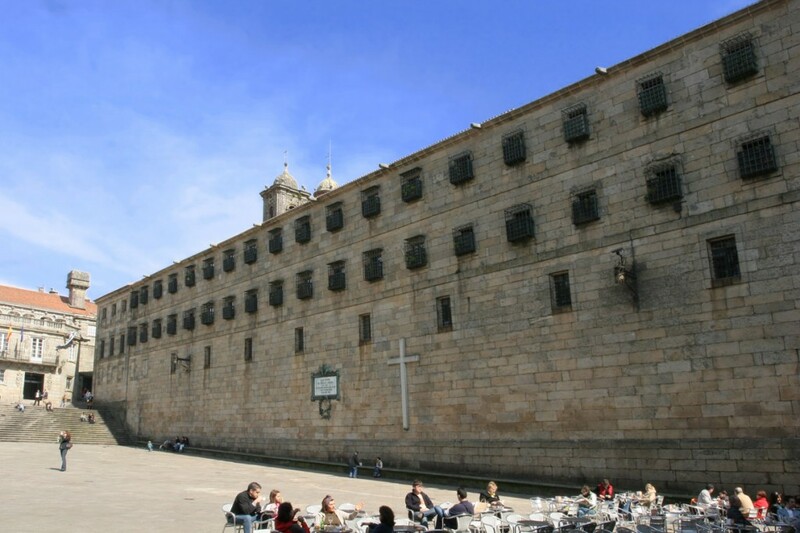 San Paio’s bells resound daily in the old town, reminding us of the centuries-old relationship between the city and the monastery, which was a centre of Benedictine power and is one of the best examples of Compostela’s baroque style. But what is truly overwhelming is listening to its interior life by means of the Benedictines’ Gregorian chant. It was founded in the 9th century by King Alfonso II in the eastern part of the recently discovered tomb of St. James, which explains the name “Antealtares”. It was initially inhabited by 12 Benedictine monks, entrusted with looking after and venerating the saint. After they left in 1499, it was occupied by enclosed Benedictine nuns. Its nuns included women from the upper nobility, making it the most important female monastery in Galicia: it enjoyed the support of the Crown and was the one with the most income and property, including valuable gifts donated by noble women taking vows (that is why these nuns were also called “ladies”). The monastery was dedicated to St. Paio (Pelagius), a Galician saint from the 10th century that, while still a boy, was beheaded in Cordoba by the Muslims. His image dominates the church façade. The present-day construction belongs almost entirely to the 17th and 18th centuries. The wall overlooking Plaza de la Quintana stands out due to its soberness and purity. In the middle, a stone plaque commemorates the “Literary” Batallion, organised by university students (which explains its name) to defend the city from Napoleon’s troops. The façade opposite that of the square contains the gatehouse and, in the corner, the so-called “Puerta de los Carros” or “Puerta de la Borriquita”: this gate depicts the Biblical episode of the Flight to Egypt, with the Virgin riding a little donkey. Apart from the quality of its natural brightness, it has 5 magnificent baroque altarpieces, full of reliefs, paintings and sculptures, the same as the reliquary front. The choirs (upper and lower) are impressive; the 18th century organ is very curious, being used for religious offices and now and again for baroque music concerts. Sacred Art Museum The museum is accessed via the church. It features interesting images and liturgical objects, including the original altar that accompanied the Apostle’s sarcophagus. The Benedictines in Santiago There are currently 40 sisters. One of their daily chores is rehearsing music and Gregorian chant, essential in Benedictine communities, which can be heard in the convent mass and in lauds and vespers. They also work for around 6 hours per day in: the guesthouse (hospitality is one of the most characteristic aspects of the entire monastic tradition); the university residence (60 beds); the children’s school (four classes); the Sacred Art Museum; the archives and they also embroider liturgical ornaments; The Benedictine nuns also make exquisite confectionery: biscuits and Santiago’s typical almond cake (available everyday at the revolving window), and swiss roll, almond biscuits and other desserts (by order)..